Back in the vacuum tube days they called these babies grid dip meters and every ham and experimenter either had one or wanted one. 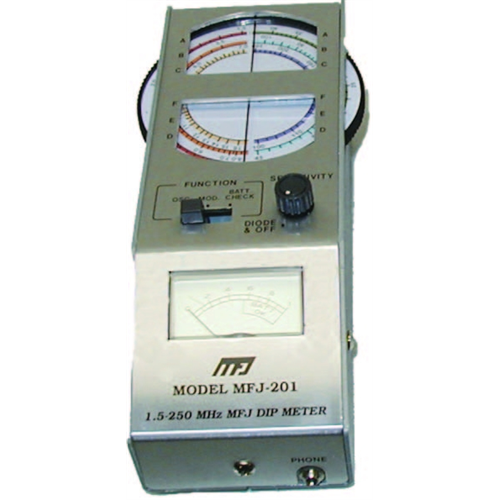 The MFJ-201 solid state (hence no “grid”) is smaller, lighter, and vastly more versatile than its ancestor. 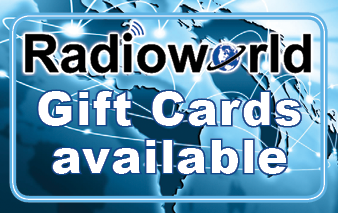 Use it as a traditional dip meter to find a coil’s resonant frequency. Couple it to an antenna, or to coax lines to get their electrical length. Or use it as an absorption wavemeter for measuring transmitter output, neutralizing tank circuits, or a field strength meter. Other traditional dip uses include: crystal oscillator, monitoring audio signal output (it includes a headphone jack), and measuring inductance and capacitance. 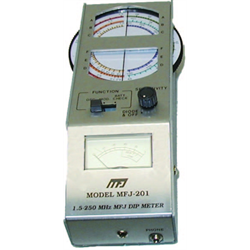 This solid-state grid dip meter covers 1.5-250 MHz in 6 bands, has thumb wheel tuning, color code readout, 6 coils, earphone jack and battery check. Uses a 9V battery for operation. Measures a compact 2W x 2 1/2D x 7H” including coils.